When you need the absolute most depth and gloss from your paint than look no further than the P21S Carnauba Wax. When applied to your paint it provides endless depth that gives your vehicle the "wet" look. 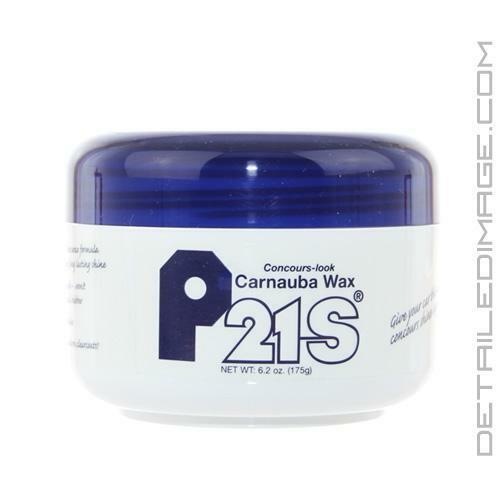 This special blend of pure Brazilian carnauba wax mixed with other secret ingredients gives P21S a formula that no one has been able to duplicate. This wax looks great on any color and works exceptionally well on lighter color paints. Lighter colored paints don't absorb as much light as darker paints so this wax was designed to enhance the lighter colored paints and give a deep reflection. This wax is an all time favorite of show car owners and a must have if you want perfection. 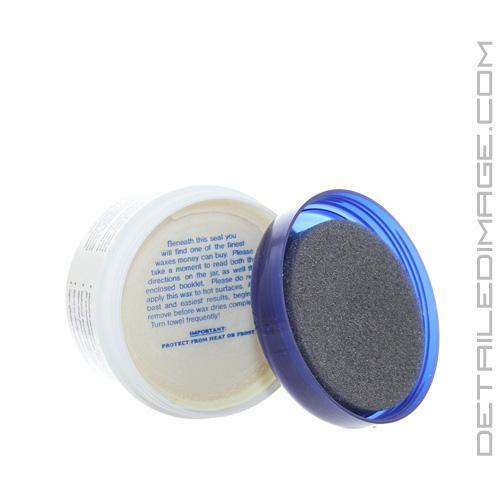 It applies and removes unbelievably easy so you can apply a coat in no time at all. One jar lasts extra long and comes with its own applicator pad so you have everything you need in on jar. It is also forgiving on trim so it will not leave traditional white marks on trim pieces. 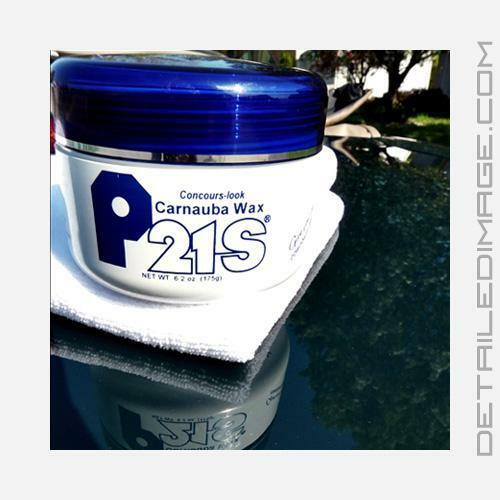 Let the P21S Carnauba Wax show you what potential beauty your vehicle's paint really has. The wax comes in a very sleek, nicely sized jar that feels good in your hands. The jar is also very well decorated and gives off a professional look that most waxes under $50 do not offer. Another great thing about the P21S Concours Carnauba Wax is the warm, deep and glossy look it leaves on the paint, regardless of the color. I mostly use the wax alone on darker colored cars as I find it provides the depth and gloss that everyone's after for the paint on their vehicle. On its own, the wax easily lasts 5-6 weeks, depending on driving patterns and the local conditions (rain, temperature, sun, etc. ), which is very good for a carnauba wax. It leaves a very nice and slick surface that beads up quite well and protects the paint from the usual adversaries, like bird droppings, water spots and bugs/tar/etc. We think this jar contains the finest wax money can buy at any price. A rich blend of pure Brazilian no.1 yellow carnauba and beeswax delivers a dynamite shine that lasts and lasts. What's not in this wax? Additives, dyes and perfumes that combine to leave big white stains on your rubber or plastic parts. Finally, we made P21S extremely easy to apply and remove because we know you'd rather be driving your car than waxing it. Directions: Be sure your car is thoroughly clean. Wash with P21S Bodywork Conditioning Shampoo for best results. To help achieve the ultimate shine, prepare the paint before waxing with P21S Gloss-enhancing Paintwork Cleanser. Do not apply wax in hot sun or to hot surfaces. Wax a section at a time using enclosed applicator. Buff to high gloss with soft terry towel, turning towel often. For best results, do not wait for wax to fully haze over.